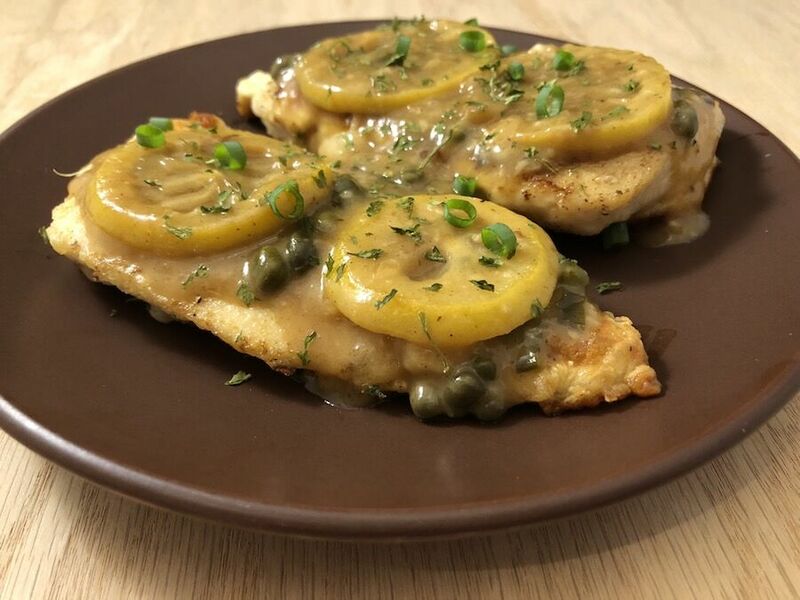 Today, I am honored to share Stephanie’s Delightfully Tangy Chicken Piccata. 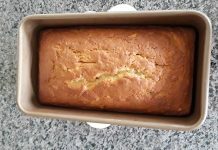 I have been following and making her recipes for a while and was very thrilled when she accepted to share a post on my blog. 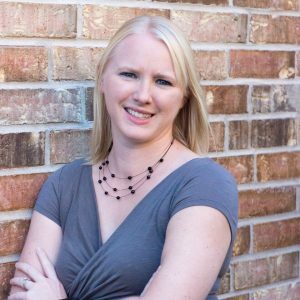 Stephanie is a native Floridian living in Texas with her husband and two young boys. She blogs at www.youaremysonshine.com about all things kitchen related such as recipes, organizing, cooking tips, and everything in between. If it happens in the kitchen, Stephanie covers it. Also known as boy-mom, wife, daughter, sister, photographer, nerd, adventure-seeker, beach-lover. 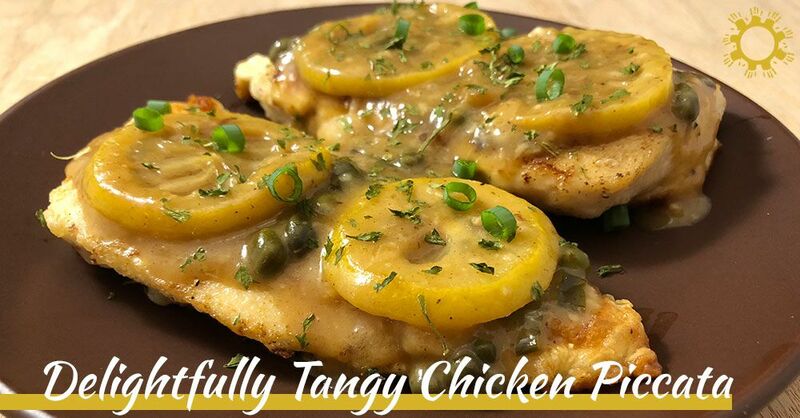 Chicken Piccata combines the zest of lemons with the pungent flavor of capers in a delicious pan sauce served over the pan-fried chicken breast. Now, that may sound like a lot of work, but this recipe can be made in about 30 minutes and is perfect for a quick weeknight dinner. 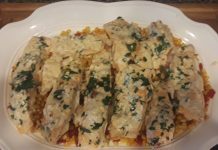 Serve the chicken piccata over rice or pasta for a complete meal and to soak up all the delicious flavors of the sauce. 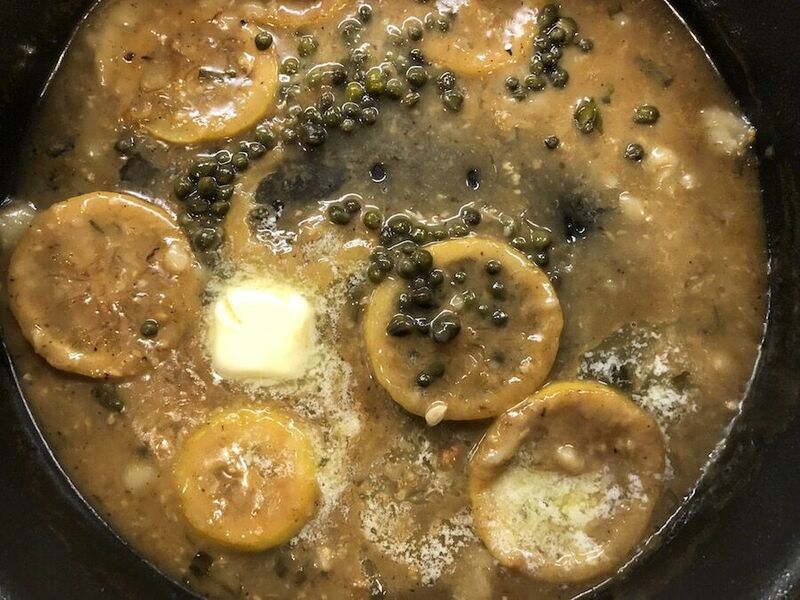 Capers can be a bit of an acquired taste, so don’t go overboard with them if you’ve never eaten them before. They can usually be found with the rest of the canned vegetables at the grocery store. I suggest rinsing them before use to remove some of the salt from the liquid they are stored in. Also, this recipe has a lot of lemon flavor, and it can quickly become overpowering as well. Make sure you don’t use more than the recipe suggests and you will be just fine! Place each chicken breast between 2 sheets of plastic wrap and pound to about 1/2-inch thickness. 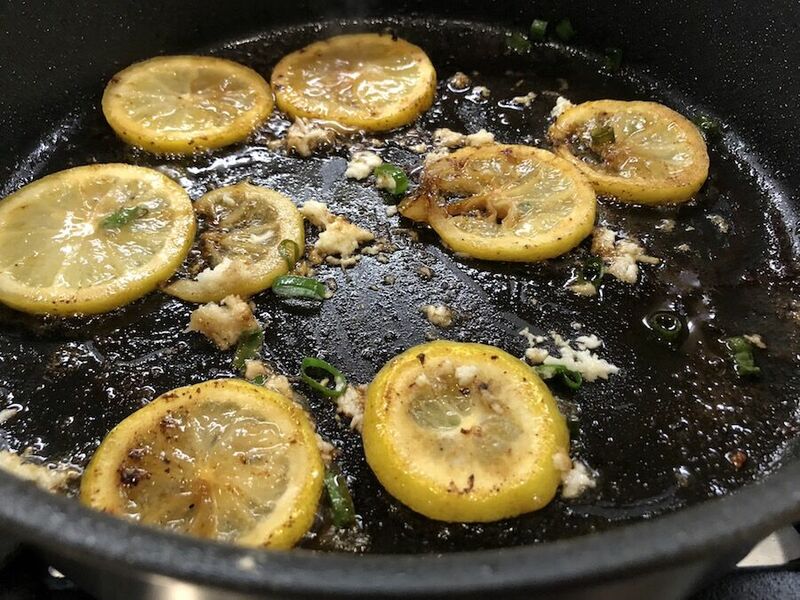 Add remaining 1 tbsp of oil to the pan with the shallots and lemon slices and saute for 2-3 minutes. I hope you enjoy this recipe as much as I enjoyed it. Stephanie, from the bottom of my heart, thank you for being my guest. Looks delicious, adding this to my Pinterest recipe board. I host a weekly Sunday Night Dinner where all the grandparents and family come in to enjoy a meal, at the table, as a family. It’s one of my kids’ favorite traditions. I try to make something new each week – this is going on our menu for the next month! Let me know, how you like it, Ashley. Thank you so much for the opportunity to share one of my recipes on your blog Marjie! I hope everyone loves it just as much as my family does!! I have been trying your recipes and follow all your precious kitchen tips, Stephanie, Thank you. It was indeed delicious, Dani. Looks good! 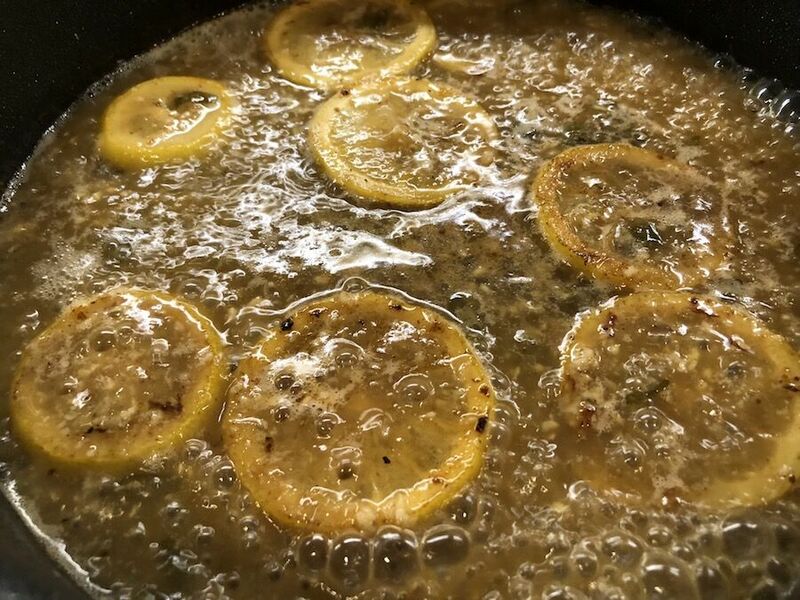 I love adding lemon to my chicken. It gives it a special flavor, Julie. That looks really good! I’m going to have to try it! I bet you could substitute GF cornstarch for the flour to make it gluten-free? I love lemon and chicken together. Chicken Piccata is one of my favorites! Always looking for a good recipe for this dish. I’m excited to try this out. Try and let me know, Tonya. Looks so yummy! I like the tangy option for chicken as we eat a lot of chicken and this sounds different from most of my recipes! I love the tangy option as well, Kristin. I am excited to try this recipe – I’m always looking for a good chicken recipe!! I was delighted to find that recipe, Courtney, hope you like it. It was so yummy, Holly, you must try it. Oh yummy! Chicken is definitely a favourite in my house, will check this one out. 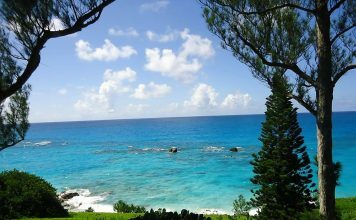 Fab guest post! Mmm this looks super yummy!!! I could go for this right now. 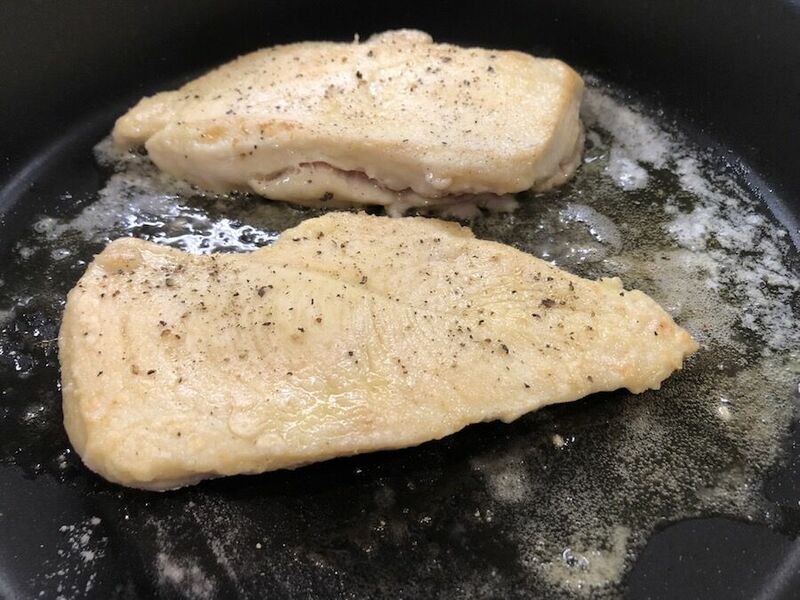 I do really love chicken picatta – I need to make it without the flour though!! <3 Looks super tasty and flavorful! I’ve never had chicken like this before but it looks pretty good. It was pretty good, Luna. This looks so great. I will definitely share this with a few of my friends who love easy Chicken recieps. I don’t think I’ve ever had capers. Sounds yummy might have to pick some up on my way home this tonight! This is such a yummy dish to make for the family! I need to make this! Try and let me know, Alia. when I saw this on her site and I got curious because it looks incredibly tasty and flavorful! This looks very good. Chicken is the majority of the protein we eat and I like to switch the recipes up. This will be next on the list. I hope you like it, Candy. That looks so good! I bet it’s a great Spring dish! I haven’t made this dish myself, but I have had it at a restaurant and it was so good! After reading your recipe, I feel a little more confident that I wouldn’t botch it lol. I am confident, you can do it, Sarah Camille! 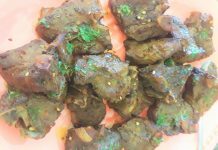 I have been following both of you for a while and love your recipes so much taht I bookmark them for cooking on some special occasions. Thanks so much for sharing this. Thank you so much, Vyom.